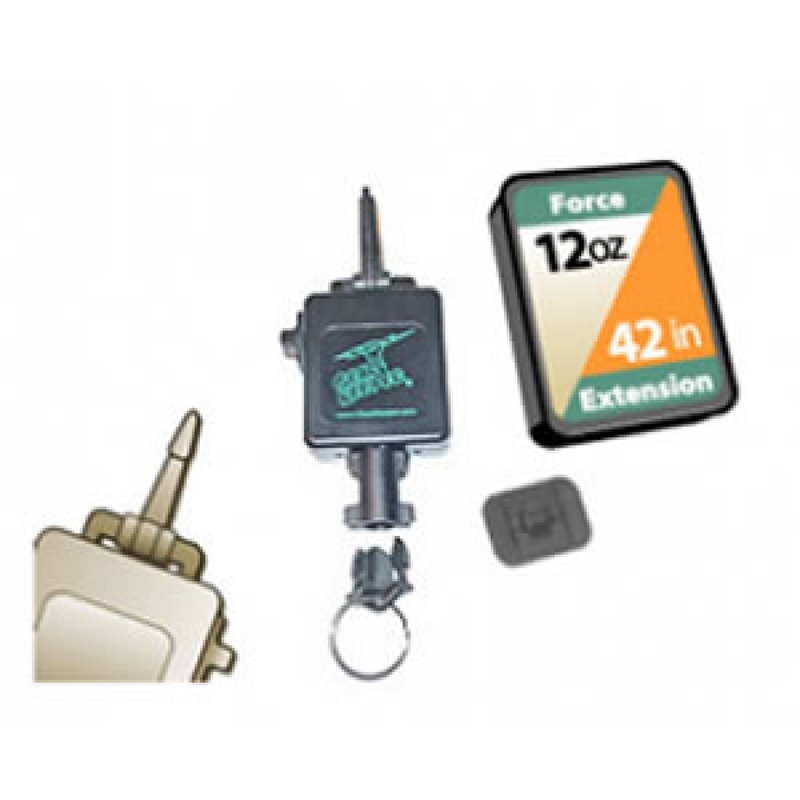 Designed to hang a Bar Code Scanner or Instrument from a forklift or packaging/assembly line. Provides arms reach capability and industrial-grade durability for a fraction of the cost of the big tool balancers. 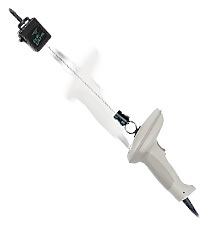 When it is necessary for the instrument to hang lower or slightly extra reach is required, the Q/C-II Lanyard accessory may be needed.